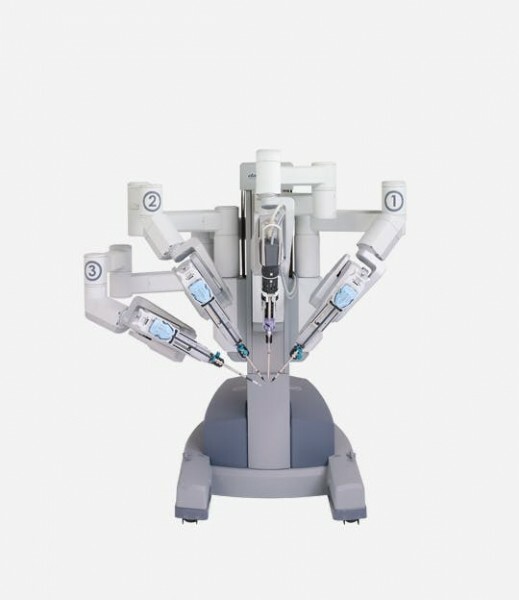 The da Vinci® surgical system gives your surgeon an advanced set of instruments to use in performing robotic-assisted minimally invasive surgery. The term “robotic” often misleads people. Robots don’t perform surgery. 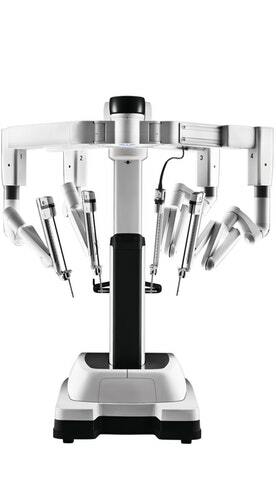 Your surgeon performs surgery with da Vinci by using instruments that he or she guides via a console. 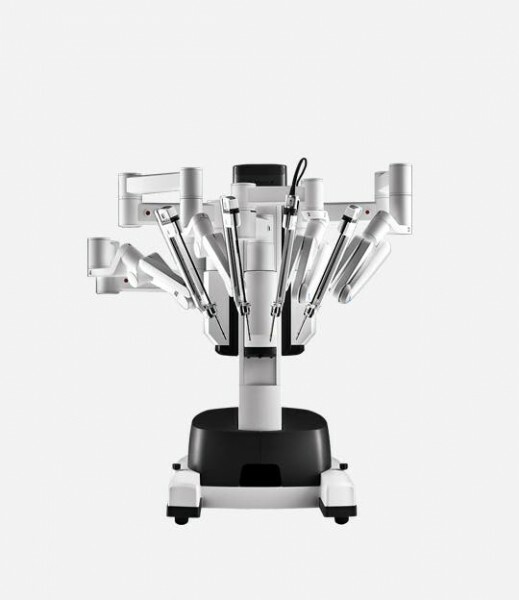 The da Vinci system translates your surgeon’s hand movements at the console in real time, bending and rotating the instruments while performing the procedure. The tiny wristed instruments move like a human hand, but with a greater range of motion. 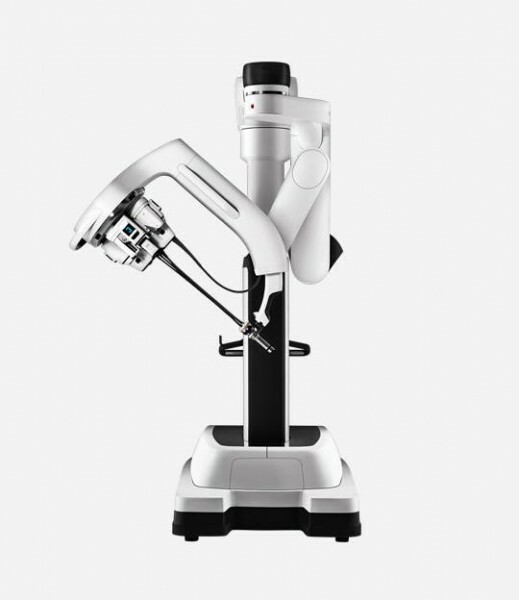 The da Vinci vision system also delivers highly magnified, 3D high-definition views of the surgical area. The instrument size makes it possible for surgeons to operate through one or a few small incisions. The da Vinci system is one part of a much bigger picture. 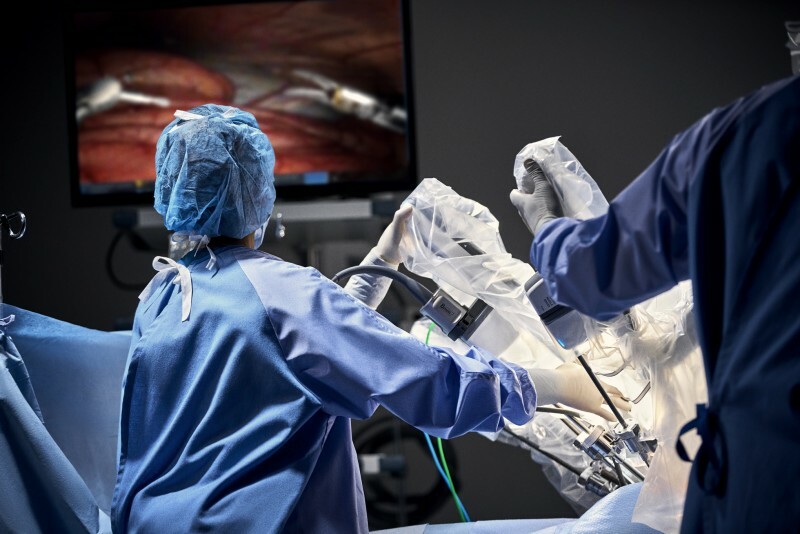 As the company that makes da Vinci, Intuitive’s services extend far beyond the surgical system. These include comprehensive and ongoing education, training, and support for surgeons, operating room staff, and hospital care teams. As a patient, you are at the center of a network of dedicated professionals working together to help you get back to what matters most. Your surgeon sits at the console, controlling the instruments while viewing your anatomy in high-definition 3D. Positioned alongside the bed, the patient cart holds the camera and instruments that the surgeon controls from the console. 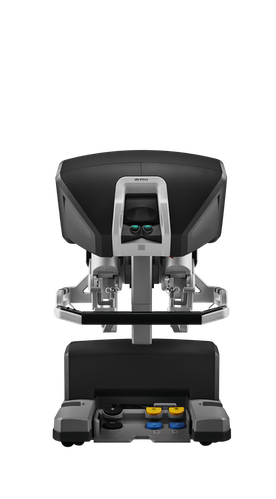 The vision cart makes communication between components possible and supports the 3D high-definition vision system. 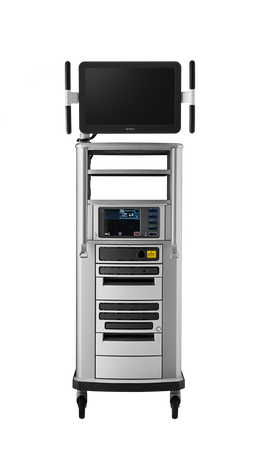 In the U.S., the da Vinci SP® system is only cleared for use in single-port urological procedures, lateral oropharyngectomy procedures (commonly referred to as radical tonsillectomy) and tongue base resection.